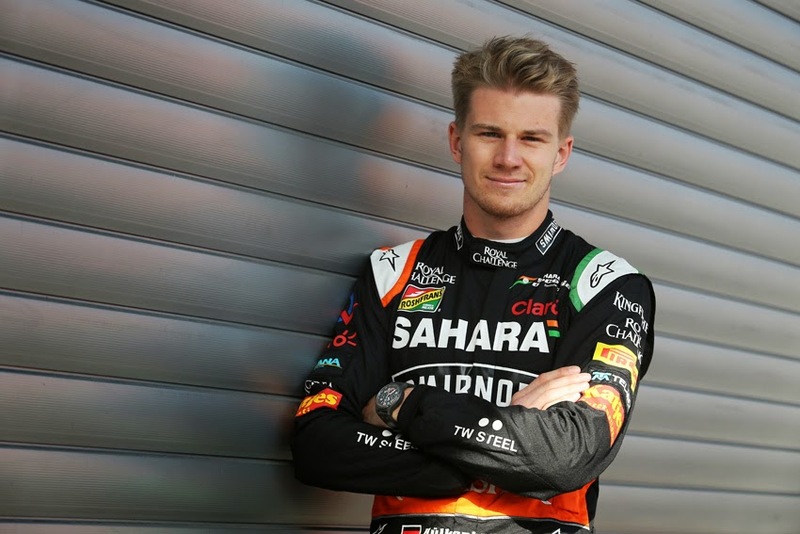 Sahara Force India Formula One Team confirmed that Nico Hulkenberg will continue to race with team for 2015.
finishes in 13 races, including four fifth place finishes, Nico remains one of the most exciting drivers on the Formula One grid. "Everybody in the team is delighted to see Nico remain a Sahara Force India driver for next season. We rate him very highly and he has done a tremendous job this year by consistently picking up crucial championship points. We know him extremely well, he's a true racer and he knows how to motivate the team. I am convinced he is one of the best talents on the grid and I am proud that he will continue to race in the colours of Sahara Force India," said Vijay Mallya, Team Principal and Managing Director. Nico Hulkenberg added, "It's good to confirm my plans for next season. This is a team I know extremely well and we've enjoyed a great year together with some special results. The team has big ambitions and I believe we can have a competitive package once again next year. We have a strong partner in Mercedes and everyone in the team is motivated and hungry for more success. I have a good feeling for 2015 and there is a lot to be excited about as we try to build on the results we have achieved this year."